Australian gamers have waited a long time to be put on the map of the gaming world for something other than getting a game a few hours early or for having terrible censorship laws. 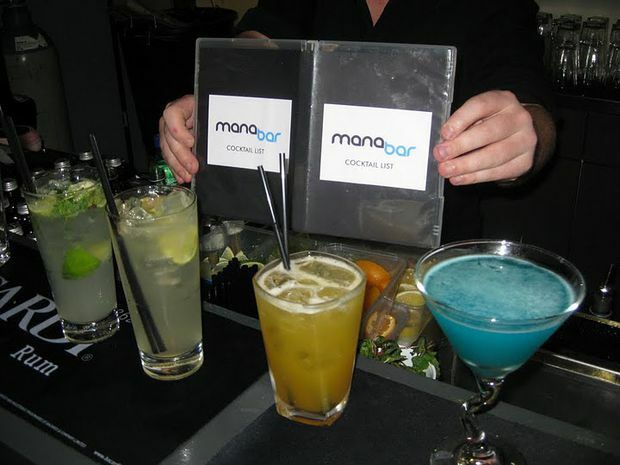 This weekend saw huge developments in Australia's gaming scene with not only the infamous Attorney General, Michael Atkinson, stepping down, but also the opening of the first gaming themed bar in Australia, Mana Bar. I know it has been one of my personal dreams, and probably everyone else, to open a bar that would not only let you play videogames but to encourage it, and the guys from Australian Gamer did it all for us! Finally, after months of waiting and a few delays, Mana Bar has opened it's doors and is ready for gamers everywhere to enjoy the fruits of their labour. This weekend I was fortunate enough to enjoy all the spoils of Mana Bar and it ended up easily being one of the best weekends I have had in Australia* in a very long time. I was lucky enough to have Yug (one of the main characters behind the scenes) send me an invite to the VIP pre-launch night on Friday where it was a really cool little intimate evening, getting to enjoy the bar in a quieter setting. With the majority of attendees being industry people, I was able to have a chat with Yug and Yahtzee about the bar, play the ridiculously awesome Raskulls with a Little Sister, and have Ryu (Gabriel) greet me at the door to check my name was on the list. The even cooler thing about Saturday was that everyone in attendance got to do all the same stuff I got to do but to a much larger scale. Although there was an average wait of around three hours in line to get in, it was heard from everyone's lips at some stage or another that "it was worth it!" The guys had spent a lot of time planning things out, and throughout the 12 hour launch, entertainment was provided for those in line, including free food, magicians, chats with Ryu, visits from Master Chief and Cortona, Roxie from Borderlands and of course everyone's favourite, the Little Sister. Ultimately, some people who arrived at around 8:00PM and later were unable or not willing to wait to get in, but that didn't stop the line staying consistently full of eager people who had flown in from around the world to experience Mana Bar. Inside the bar, all four of the owners, Yug, Yahtzee, Pras and Shay were available for a chat as well as the equally awesome team they have. Gabriel who is the ultimate security guard by doing long shifts dressed as a Street Fighter character, Grant, the ever amusing and awesomely friendly bartender, Cormac, consistently busy at the bar but always friendly, and of course Phoebe, the adorable glassy who knows what Rock, Paper, Scissors, Lizard, Spock is. Even though they were constantly rushed off their feet and running out for supplies or needing stress induced smoke breaks, all of the owners were friendly and wishing they had more time to chat to their, for lack of a better word, fans. The consistent favourite game of the weekend was the soon to be released Raskulls, where at every stage when either I or one of our other Dtoiders was playing, we would play as the Mr. Destructoid playable character. 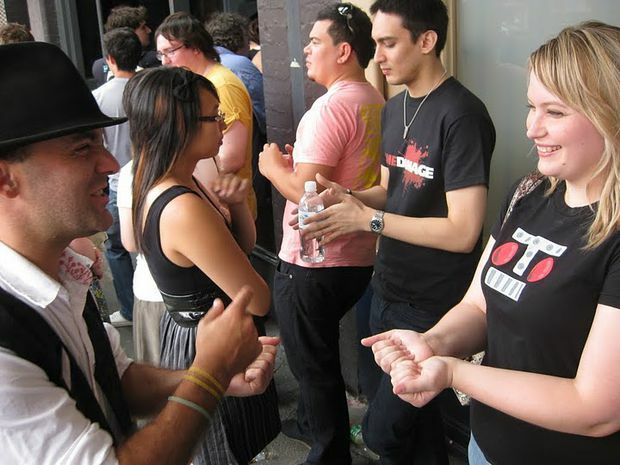 We also then proceeded to explain what Destructoid is and how they should all check it out. But it wasn't just the incredibly handsome characters that made this game a favourite, with its Bomberman intensity and easy to understand play concept, anyone could pick up and enjoy the game. Because at the end of the day, who doesn't enjoy a good race? There were plenty of competitions other than the mini-battles of Raskulls throughout the weekend, including Cosplay competitions, "Beat Yahtzee at Guitar Hero" (where it got too easy for him so he started playing with the guitar behind his head), "Beat the Junglist at Fifa", and the not so official but my personal favourite, "Get smashed by blue suited madman0017 of DtoidAustralia at Street Fighter IV". We did also get to enjoy pre-release play of Just Cause 2 in which I managed to lose my speedboat because I wanted to play with the parachute! Other games included Mario Kart, Smash Bros Brawl, Sega Mega Drive collection and other awesome multiplayer games. Another favourite of the weekend was of course the gaming themed cocktails -- Princess Peach, Ocarina of Lime, Breath of Fire, Angel Island and the long awaited Mana Potion. All were quite good cocktails but the definite winners in DtoidAustralia's minds were the Mana Potion and Breath of Fire. Mana Potion was quite sharp with citrus and blue curacao while the Breath of Fire had crushed fresh ginger and tobasco to ensure it lived up to its name. Sunday was a much quieter scene, with a 20 minute max wait in line, a lot less crowding and a really relaxed atmosphere. Space Cowboy, FurySevenSix and I all walked into be greeted like regulars by the staff and some of the guys in the bar which was a really fun glimpse into what the place could be like after the hype dies down. Sunday also became the official "Michael Atkinson stepping down party" with toasts all around and a new cocktail being created for that very occasion: The Blood Thirsty Atkinson. 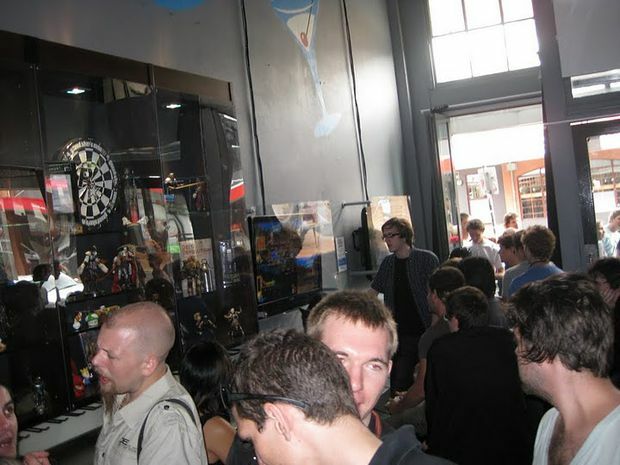 I will state the obvious, the bar is quite small, but at this stage, I personally enjoyed the more intimate setting where it could easily become every gamer in Brisbane's local pub and we can enjoy a Cheers scenario, where everybody knows your name. 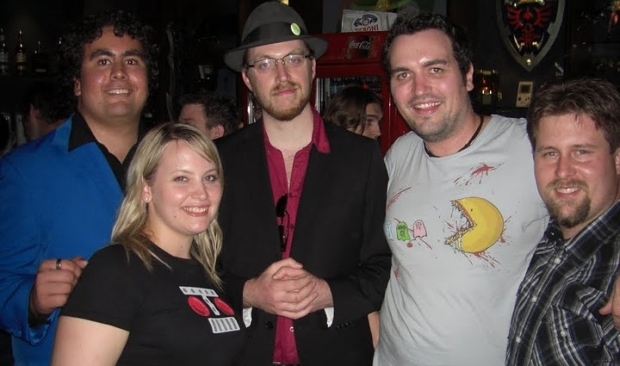 Tuesday saw the Mana Bar’s trivia night hosted by Yahtzee Crowshaw, where six members of Destructoid Australia joined up to have a few drinks and have a crack at some gaming trivia. With the line outside being more people than were actually in the bar, we were very lucky to be promised a team. By the end of the three rounds, Team Destructoid won against all the other teams, even if Yahtzee did call us cheaters because we’re apparently “professionals.” All of this was mainly in thanks to my teammates, Madman, Space Cowboy, Angell, Muzza and Hewan, and we can do it all again in two weeks to defend our title! You can all see my photos from the weekend here and it was awesome getting to meet up with some new DtoidAustralia members. I look forward to seeing everyone at Mana Bar for future DtoidAustralia events, including all the upcoming Trivia nights!